Hold tight, these are on their way. Send us a note to put your case aside now. A beautiful wine with airy perfumes of red fruits, such as strawberry, white fruits and candy. The mouth is fresh and juicy, with a delicate touch. An out-of-the-ordinary blend of Merlot 75% and Petit Verdot 25% harvested at just the right moment for a "juicy" texture. Get excited for this one. Fresh, fruity with aromas of white peaches. Bandol is on the mediterranean coast in southern France and whilst the vineyards are exposed south to the sun, they are cooled down by the gentle marine breeze. 60% Mourvedre, 20% Grenache and 20% Cinsault. Living in the heart of the town of Saint Romain, Lucien & Fanny are slowly taking over the parcels his family has worked for decades, for generations. They are true farmers and have a holstic approach to their craft. Most vineyards are certified organic and the others are in process. 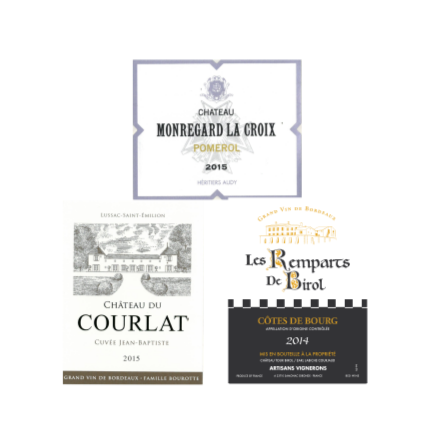 Six different wines are making it this fall: Bourgogne Aligote, Hautes Cotes de Beaunes red & white, Saint-Romain, Saint-Aubin 1er Cru "En Remilly", Pommard 1er cru "Les Charmots". These range from Tuesday wine to fine dining and are consistent in quality throughout. Les Remparts de Birol, Cotes de Bourg. 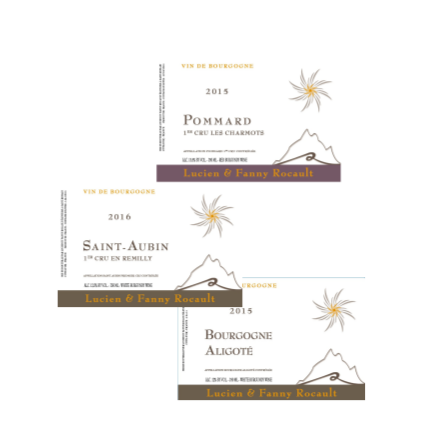 Damien & Anais' 12 hectare family domain is situated in the southern part of the appellation. Rich, fruity & smooth. This Grand Vin de Bordeaux is the best value you'll ever find so make sure you stock up. Cuvee Jean-Baptiste, Lussac Saint Emilion. This is a benchmark wine. Only 1500 cases produced and just a handful is for the US. As Robert Parker says "Always amongst the best in the appellation". Pomerol appellation, family owned for centuries. This is Bordeaux you can drink now but would do best for your grandkids. Just 500 cases produced. Lookout for these wines in the October shipments and make sure to stock up ahead of the holiday season!